Biodynamics is more than just an approach to organic farming. 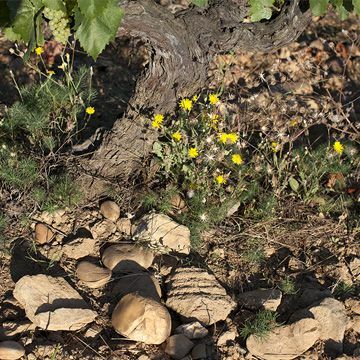 Biodynamics brings together the optimal conditions for the best possible balance between the soil, the vines and their environment. The quality of the soil cannot be reduced to its chemical or organic characteristics, but is related also to the variety of bio-organisms living on it. Our biodynamic preparations are intended to preserve and enrich the varieties of bacteria, mushrooms and other biological organisms that contribute to the natural defense system of the vine. They also allow for deep and healthy roots from where all the necessary energy for a harmonious development is drawn. After years of practice and observation Frédéric Duseigneur knows that to produce grapes of superior quality the vines need more than just nutrients. The vines requires a more refined, and more spiritual nourishment brought by a flora and a fauna that are kept as rich and diversified as possible –as well as strong relationship with the winemaker. Such is the approach and the experience that he is passing on to us and such is the legacy we intend to perpetuate at the Domaine des Maravilhas. Jean Duseigneur created his wine estate in 1967. He was convinced that the soils were ideal to produce great wines. The Domaine des Maravilhas comes from it. Created in 1995, the SIVCBD currently brings together about 100 properties throughout France and one in Germany, representing a total vineyard area of 1967 ha. The SIVCBD is a union of winegrowers who apply biodynamic techniques throughout their property, and have received Biodyvin approval. 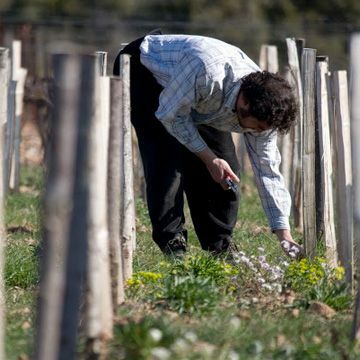 All of the SIVCBD’s members apply biodynamic practices in order to preserve the fertility of the soil, to allow the vines to flourish in a well-preserved terroir, to let animal and plant life resume its place in the vineyard, and to protect the environment; in this way the wines produced are able to give full expression to the terroir and their quality is optimized.